Abdulah Al Sanousi enjoys the breeze in the lush resort outside Sarajevo where his family bought a flat to escape the summer heat at home in Kuwait, one of thousands of new Gulf buyers whose investment has polarized local opinion. 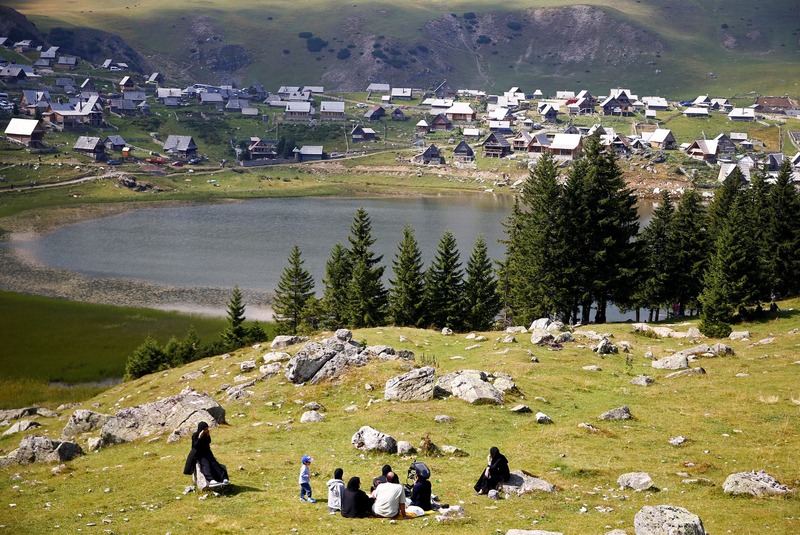 They discovered mountainous Bosnia, where half the population is Muslim, after the Arab Spring which destabilized many traditional holiday destinations such as Libya, Tunisia and Egypt. The trend has picked up with more direct flights, new resorts and the end of visa restrictions. Estate agents and local businesses have welcomed the economic boost. But in a secular country where many Muslims drink alcohol and wear European-style clothing, the arrival of a Saudi-built mall where no alcohol is sold and the sight of burqas and traditional Arab robes is worrying for some. “People from the Middle East come here because of the nature and good weather, and very cheap prices for property and other goods,” said 28-year old Sanousi, who works in the media industry in Kuwait. “Many Muslims feel it’s a good place for them, they feel they are with their people, they feel comfortable here,” he said in the gated resort that is inhabited mostly by Gulf visitors. It was built by a Kuwaiti investor and opened last year. The number of visitors from the United Arab Emirates surged to 13,000 in the first seven months of this year from 7,265 last year, according to hotel data from the Sarajevo tourist board. In 2010, there were only 65 visitors from the UAE. Bosnia does not have a national tourism authority and data on land purchases is patchy in the Balkan country which has a fragmented government system. Unofficial estimates put the total number of Arab tourists at between 50,000-60,000 a year, with about a quarter buying property. The visitors bring much needed cast to the economy which has not recovered from the 1990s war. 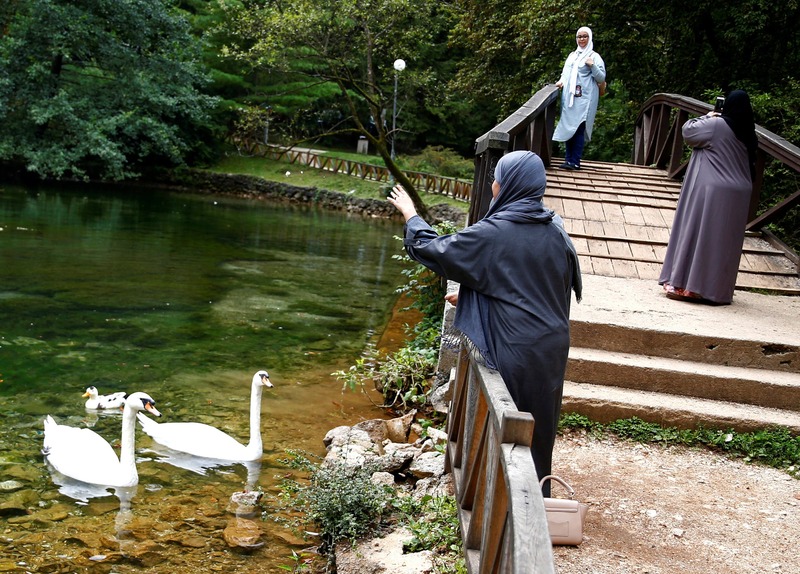 But many local Muslims, who pray only at mosques or at home, were shocked when a group of Arab men dressed in traditional robes prayed outdoors at a popular weekend resort near Sarajevo last year. Others have been upset by a Saudi-funded mall that serves no alcohol or pork. Many Bosnians remember the Arab fighters who came during the 1992-1995 war to fight with Bosnian Muslims against Serbs and Croats, bringing with them a stricter form of Islam which drew followers, some of whom fought in Syria and Iraq for ISIS. At the end of the war, some restaurants and cafes in the Ottoman-era old town of the capital stopped serving alcohol and pork and residents say they have now disappeared from the menu in other cafes which have started to do the same. Esad Durakovic, a professor of Arabic studies at the University of Sarajevo, wrote in an editorial for the Depo news portal last week property purchases by Gulf visitors could hurt a delicate religious balance in Bosnia. “This is not about tourists who come and go but about those who permanently stay on their property,” he said, saying that it could fuel a desire for secession among some Bosnian Serbs. Travel and real estate agents dismiss those concerns, saying the country should welcome the money to help get the economy back on track and that the visitors only come in the summer to escape the heat at home. “I’m really wondering why so many people are questioning (Arab investments) rather than getting profit out of it... I find it really sad,” said Abdelal Mustafa, general manager of Saudi-based HR Holidays travel agency. They want the state to improve legislation to encourage more visitors and investors in Bosnia. “The legalisation blocks a lot of money,” said Tariq Burjaq, executive director of the Kuwaiti Rawasi Real estate company, which is building a 25 million euro worth residential complex at the foot of Igman mountain, near Sarajevo, with 246 housing units. Mirsada Gostevcic who was selling honey and blackberry and raspberry juice near the Sarajevo Resort where Sanousi’s family has a property, does not see what all the fuss is about. “I don’t mind that Arabs are coming, I don’t know why people are bothered with that. This is a country where life is difficult, and we are looking forward to earning more money,” Gostevicic said as visitors from the Gulf strolled along improvised shop-stands where local farmers sold their produce.